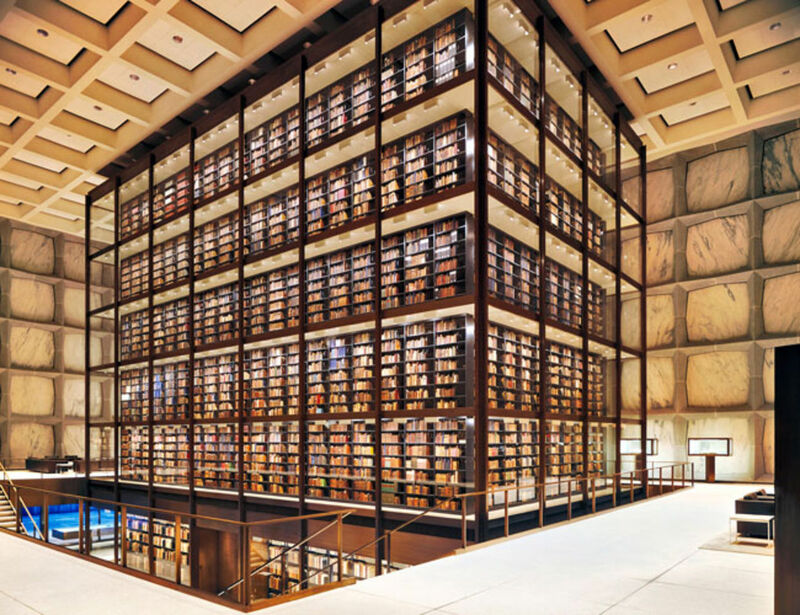 This library boasts a 200-foot long room with a barrel-vaulted ceiling. of famous writers, like Jonathan Swift. shelves hanging from the building’s five stories. connect to reading and study areas in the outer walls. From the outside, the nine-story building looks like a monolithic cube. well as deep-set and latticed windows to reduce energy use. of the reading room. A staff member winds it once a week. grass-covered roof to add to its eco-friendly and modern design.